Born in Berthierville, Quebec, Canada. The younger brother of Canadian racing legend Gilles Villeneuve, and uncle to Jacques Villeneuve, the 1997 Formula One World Champion. He is frequently known as Uncle Jacques because of the fame of his nephew. He started out racing snowmobiles and he has continued to race snowmobile events throughout his career. He moved into saloon racing in Canada, winning a Honda Civic series and many races from 1976 to 1978. He then stepped up to the open-wheeler Formula Ford category, and then Formula Atlantic, where he took Rookie of the Year in 1979, then consecutive titles in 1980 and 1981. He also won the World Championship Snowmobile Derby in 1980. At the end of 1981, he took a pair of drives for the Arrows Formula One team, but failed to qualify for the Canadian Grand Prix, or the Caesars Palace Grand Prix. In 1979 he competed in the Cannonball Baker Sea-To-Shining-Sea Memorial Trophy Dash in a Porsche 928 co-piloted by John Lane, Gilles sponsor and friend. 1982 started out with Villeneuve winning the World Championship Snowmobile Derby. The track was exceptionally hard caused by bitter cold, and his team set up his sled for the conditions. He took home $11,300 for his win, with cash and prizes totaling over $50,000. The rest of 1982 was difficult, after Gilles death in May. Jacques spent most of the year in Can-Am, though he would take a one-off drive in CART. 1983 saw him take the Can-Am title, as well as another Formula One drive, narrowly failing to qualify a RAM for the 1983 Canadian Grand Prix. During this period, he also kept up his snowmobiling exploits, winning a number of prestigious races, and had a one-off drive at the 1983 24 Hours of Le Mans. 1984 saw a return to CART, with Villeneuve ranking 15th overall, having taken pole position at the Phoenix round. The following year he became the first Canadian to win a CART race, taking victory in the wet/dry race at Road America on his way to eighth overall in the standings. In 1986, Jacques became the only person to win a third World Championship Snowmobile Derby. He would spend another season in CART and make his only appearance in the Indianapolis 500. 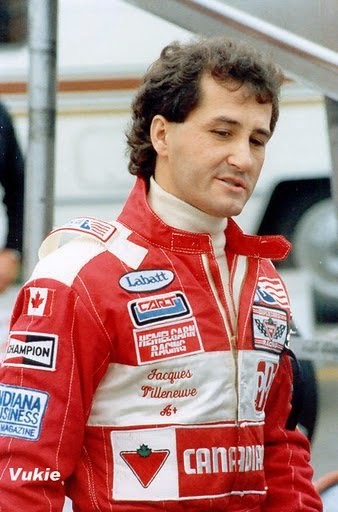 Beginning in 1987, Villeneuve scaled back his motor racing activities, however he regularly returned for occasional drives in CART, Formula Atlantic and IMSA. 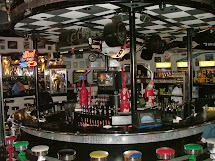 He also remained highly active and successful in snowmobiling, also branching out to powerboat racing. On January 18, 2008, Villeneuve was seriously injured in an accident during the World Championship Snowmobile race. He suffered multiple leg and pelvic fractures as a result, in addition to a spinal injury. On February 16, 2013, Villeneuve suffered another serious accident while competing in Valcourt, Quebec, sustaining a leg injury. In May 2014, a story published in the Montreal Gazette revealed Villeneuve is battling cancer of the intestine. The 60-year-old said he went to the doctor’s after he suffered stomach pains. His cancer is at an advanced stage and recovering from it will be difficult, the Gazette reported. In May 2015, it was announced Villeneuve would return to the track named after his famous brother to compete in the F-1600 races for the Canadian Grand Prix weekend in June. Villeneuve had a respectable 9th place finish out of 40 cars. Jacques was inducted into the Canadian Motorsport Hall of Fame in 2001. Villeneuve at the 2015 Canadian GP weekend.